This video explores the history of municipal bond yields and how rising rates will cause serious challenges. Life insurance, however, may benefit greatly from a rising interest rate environment. Today we’re going to talk about Bond. Not James Bond but Fred bond – and Fred stands for Federal Reserve economic data. They’ve provided this nice graph on a municipal bond index that is discontinued, but it gives us a pretty good sample size here starting sometime in the 1950s and goes into the mid to late 2010s. A subject that a lot of my clients are interested in is: Why do I have to use life insurance? Can I use municipal bonds instead? If we look at the Y axis (the percent yield), this is the interest rate that you could earn tax-free or at least federal income tax-free from municipal bonds if you bought them from your state (they’re state income tax-free too). When bond interest rates go down, existing bonds go up. I like to show this with a little teeter-totter because I think this best describes how there’s an inverse relationship between yields and principal value in bonds. The reason why is because of this: when interest rates go down, what happens is the new bonds aren’t as attractive as your old bond. Your old bond goes up in value. Right? If somebody wants to buy your old bond on the secondary market, it’s yielding more than the current bonds they can buy. They’re going to pay you a premium. Now conversely when interest rates go up, what happens to the price of existing bonds? They naturally go down. Why would I buy your old junk bond at those low-interest rates that you got whenever you bought them when I could buy these new bonds that are paying a higher interest rate. Why would I even mess with your old bond? If you want me to take it off your hands, I’m going to do so at a discount. And the next question I typically ask most people is this: which way do interest rates have to go? Almost everybody says they have to go up. Now we don’t know at what point or what trajectory but it’s a pretty safe assumption that they’re probably going to go up. If we go all the way back to the 1950s to compare rates, you can see we’re very near historic lows. So they might continue to stay low for a while but I think everybody agrees that this is similar to a coiled spring that is going to pop at some point. Let’s take a look at what we can get today. If I pulled up these different tickers now (even though you could buy individual bonds for your municipality), it’s just easiest to use nationally recognized tickers as a proxy. These bond funds buy a whole bunch of individual municipal bonds from all over the country. If you’re in a state where there’s state tax, you’ll have to pay tax on the yield of this too but let’s just assume for the moment that you’re not. Otherwise, this is totally tax-free. So really the yield here is 2.29%. And let’s just say you get every bit of that tax-free. What I want you to see here is the amount of risk or fluctuations that you’re taking – not only it does mean it has to do with interest rates but it also has to do with risk. Sometimes, as you’ve probably heard in the news, there are municipalities that go broke even some of them here in my home state of California. The key to pay attention to are the swings. This fund was trading in the mid 105s. It happens to be 106 at the peak if you look over here. And you know not too long later is trading at 96 right in the high 90s. So for something that’s safe and not really providing much of a yield you know if you go from 112 or even just 110 down to the low 102, 103, 104, is even 105. Right? That could take a couple of years like if you bought all your bonds here and you dealt with these swings and now it’s down here. You kind of gave up some of your yield to these fluctuations. If we look at the Vanguard Intermediate-Term Fund (which has a bit more history), it was paying 2.79%. So it’s paying a little bit more. They have a little bit higher-yielding bonds. But if we look at a larger time frame back to the 1980s, you can see here that this bad boy was trading up in the twelve’s and it fell to down in the eights. So over the course of two years, this bond lost 25 percent of its value. If we look at a non-municipal bond so Investment Grade Corporate Bond Funds (Investment grade means they’re higher rated corporations) notice that during the Great Recession of 2008 going into 2009 that this fund was trading at 106. And it fell all the way to the mid-80s. 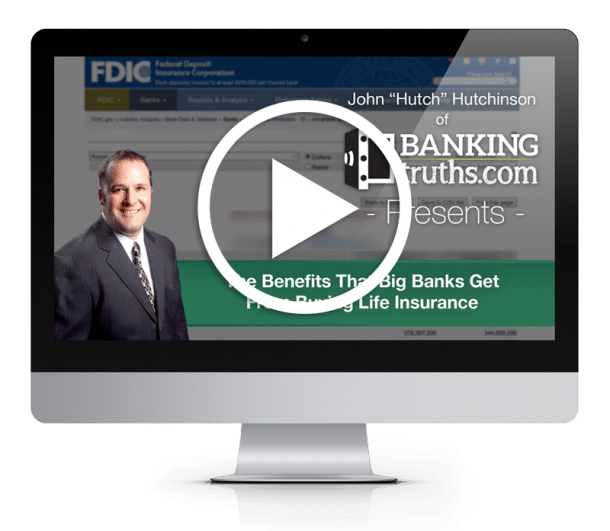 When we talk about using life insurance as your own private bank, I want you to remember this concept: the best deals, the fire sales on real estate, and the fire sales on businesses, business equipment, or inventory are had during these low points. But you’re probably not going to cash out your bonds when they’re down to take advantage of these opportunities. If you do, fine. Maybe you’ll get more pop off these other investments but you’re still going to take a hit on your way out. Conversely, if you choose life insurance with some principal protection measures you don’t have to take that same hit. You can borrow against your asset that will be compounding or have the opportunity to compound and still get into these assets. What I really want you to see is for these investment grade corporates they did have more risk than the Muni’s – let’s see what kind of yield you would have got. And just remember that there is a direct correlation between risk and interest rate. So if you see that a bond is paying more like these bonds are paying 3.3% instead of something in the 2s -there is more risk and obviously, there’s tax involved too. High-yield bonds are another type to consider. They used to be called junk bonds but nowadays they’ve reinvented themselves as high-yield bonds. These babies are paying something in the fives to low fives right now. But remember, this five percent rate is taxable. It’s not a municipal bond. So the five might feel like four or three or two and a half by the time you pay your taxes, depending on where you are. The next question is: how much risk we’re taking on this front? If you look at this fund, it started right before the Great Recession here in 2007. And so this bond was trading at 105 in June of 2007. By June of 2008 it was down to 98 and by December of 2008 it was down in the 70s and 60s. The following June it was back up to the 70s and the following June was back up to the 80s. It really got scraped in the low 90s and hasn’t really rebounded. What I want you to see is just some of these smaller hiccups or fluctuations going from 90 right to 77 even if it rebounds to 85. If you bought it for 90, you need a few years of that 5 percent just to be breaking even. And the same thing is true with the investment grade – the hiccups won’t be quite as volatile but there are still hiccups nonetheless and they don’t necessarily equal the yield. Remember, you’re only making around 2% so these fluctuations could eat up your annual yield. For that reason, I strongly recommend you take a look at what life insurance can do for you with your safe money. Not only may it provide better yields, but like a lot of times, these hurdle rates of twos or threes or even five taxables aren’t that hard to beat. And remember there’s also a death benefit, possibly some chronic or critical illness benefit. Now we know you don’t want to cash in those benefits if you can help it, meaning you’d like to stay healthy, but there are these benefits. The main additional one is liquidity. We actually can create pure principal protection around this money so that when the bottom falls out of the stock, bond, and real estate market again, you can use your liquidity to cash in on this opportunity without having to take a major hit. Take a look, and we hope to talk to you soon.